2018 June « THE BRYCE IS RIGHT! – Republicans for Florida Governor get national exposure. KISSIMMEE, FL (June 27, 2018) – House Rep. Ron DeSantis and Florida Agriculture Commissioner Adam Putnam squared off in a nationally televised debate to become the Republican candidate for governor of Florida. 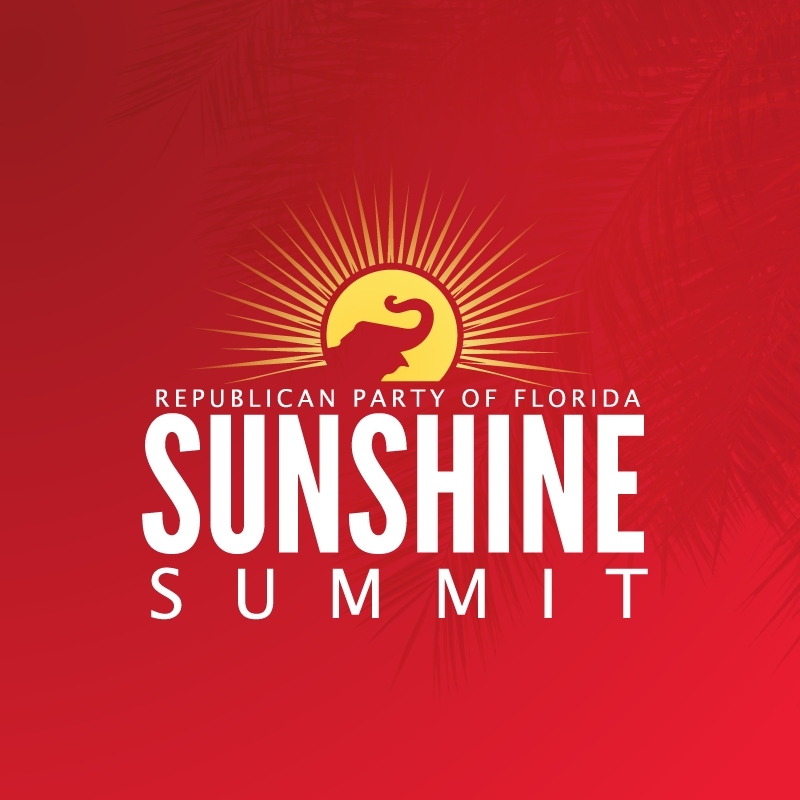 The debate was held at the annual Sunshine Summit at the Gaylord Palms Resort & Convention Center in Kissimmee and sponsored by the Republican Party of Florida (RPF). The Summit is a two day event featuring the debate on Day 1 (Thursday) and a star studded list of Republican speakers for Day 2 (Friday). A capacity crowd of over +2,500 people attended the debate televised live by Fox News and moderated by Fox’s Bret Baier and Martha MacCallum. Normally, such a debate would begin with some opening remarks by the candidates, but not this night. Instead, the moderators began with a pointed question regarding would they like to see the Roe vs. Wade decision regarding abortion be overturned. Both candidates evaded the question clumsily, implying Yes, they would support the decision being overturned. Rather than answer the question directly, they both said they supported the appointment of a Constitutional jurist to the Supreme Court. They were then asked a series of questions regarding Russia interference in the 2016 election, immigration, gun control reform, and their support for President Trump. As to the latter, the President has publicly endorsed Mr. DeSantis. The Congressman also contended Mr. Putnam did not embrace or campaign with Mr. Trump during the 2016 election. When asked by the moderators if he had called Mr. Trump’s discourse vile and obscene, Mr. Putnam denied the allegation. Both candidates publicly endorsed Mr. Trump’s policies and positions, but the edge has to go to Mr. DeSantis for the president’s endorsement. To counter this, Mr. Putnam claimed he knew the state better than his opponent who spent considerable time in Washington. He also claimed he had received the endorsement of several Sheriffs in the state. In response, Mr. DeSantis claimed he is paid to do his job in Washington, but spends as much time as possible back in Florida. The turning point in the debate came in the area of immigration. Although both candidates openly opposed Sanctuary Cities (and States). Mr. DeSantis went on to say he would help vote eVerify into law, and that Mr. Putnam helped kill eVerify in Florida because his sponsors wanted cheap labor. In response, the Agriculture Commissioner danced around the issue, but didn’t refute the Congressman’s charges. From this, Mr. DeSantis scored heavily. Keeping the February Parkland school shootings in mind, and the push back to the NRA by younger voters, the moderators asked if the candidates supported the gun safety lobby. Both candidates didn’t mention the organization by name but both claimed to be strong advocates of the 2nd Amendment. In terms of the Parkland shooting, Mr. DeSantis claimed he would have gone after the FBI for failure to investigate the shooter when warned, and would have fired the local Sheriff for incompetence in the incident. Both candidates supported President Trump’s recent actions regarding trade tariffs, claiming it was unfair our foreign competitors were mistreating American goods. * They were not in support of recreational marijuana. * They supported aid to Puerto Rico in the wake of last year’s hurricane destruction. In analyzing the debate overall, both opened badly, but this should be attributed to the structure of the debate by organizers. Mr. Putnam appeared confident and animated, but he had trouble responding to the eVerify issue which is his Achilles Heel. Beyond having the support of President Trump, Rep. DeSantis appeared more at ease at the podium, probably due to his years as an attorney and a Navy JAG officer. It was a close debate, and both candidates would serve well as governor, but if I had to make a decision as to winner, I would have to give the nod to Mr. DeSantis. Copyright (c) 2018 by Tim Bryce. All rights reserved. – Instead of legislating, they are attacking. When asked about the recent problem of separating children from their illegal immigrant families, I burst out laughing, which didn’t go over well with some people in the room who thought I was being insensitive to their plight. Of course I am sympathetic, but I realized this was just another soap opera manufactured by the Democrats. Separating children from illegal immigrants is certainly not new as it was done for at least the last two administrations. President Trump certainly didn’t invent the law, he just enforced it. Democrat strategists are perfectly cognizant of this, but they desperately want to convince the American public the president is evil. As such, they have turned this into a huge photo op to try and demonstrate their compassion and the president’s lack thereof. 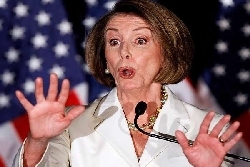 We are now just five short months away from the midterm elections, and with each day it becomes painfully obvious the Democrats have no proposals for solving any problems. So, instead of working through the legislative process, they attack the president. Their mission is simple: keep the heat on President Trump, thereby defacing him and anyone associated with him, particularly Republican candidates. The theatrics of the Left is rather entertaining as they can now produce crocodile tears on demand, quote Jesus to justify their position (someone they abandoned years ago), and claim outrage over the slightest disagreement. Their histrionics of pseudo-sympathy is all rather amusing but not the slightest bit credible. They may impress the main stream media, but the American public is not swallowing it. In a recent Gallup Poll, Americans who are satisfied with the direction of the country has reached a twelve year high, going back to September 2005. In the survey, all age groups and genders showed a marked improvement, but in particular, independents showed an eleven point bump, making it bad news for the Democrats. Since the Democrats have no policy or program to offer American voters, other than increased taxation and larger government, they practice attack politics, where character assassination is commonplace and identity politics is used to ridicule their opposition. From now until the November elections, the Democrats will spend little time legislating and more time attacking the president. This is all being choreographed rather precisely. As soon as the public has grown weary of the illegal immigration problem, another “catastrophe” will emerge with considerable fanfare. The Democrats cannot win by attacking the economy, the military or veterans, so they will go after such things as the environment and the EPA, housing and HHS, or the FCC, FDA, or Department of Transportation. In other words, a systematic attack on the various government departments affecting our lives. The brouhaha du jour is all designed to generate hate against the Republicans. Again, the people are seeing through this as evidenced by the recent Gallup poll. Do not ask the Democrats about the growing Gross Domestic Product, the decreasing trade deficit, the shrinking unemployment rate, or the diminishing number of people on food stamps. These are all indicators of a prosperous economy improving under the Trump administration, something simply not discussed by the Left. The Democrat’s Soap Opera in the media reflects a desperate party resorting to desperate measures. Regardless of how they spin it though, the American public is not buying into it. The Democrats, therefore, are only burying themselves by not offering viable solutions. Although the media would have us believe a “Blue Tide” is rising, the truth is the Democrats are facing a brutal disaster in November, one which will reshape their party for years to come. – Even with their visceral and intolerant behavior? Democrats claim the “Blue Tide” is rising as we approach the 2018 midterm elections. As evidence, they point to a series of polls showing them ahead by 6%. If the Democrats are confident of the outcome, one cannot help wonder why their overall campaign has turned so vicious. The public is well aware of the nasty insults and snubs from the Democrat-leaning entertainment world, such as Samantha Bee, Peter Fonda, Robert DeNiro, Kathy Griffin, Madonna, Seth Rogan, et al. They go well beyond lacking tact, to just plain being crude and distasteful. They are certainly not amusing and would not be favorably met by the news media if such comments were directed towards a Democrat, but it appears to be acceptable to address them at Republicans, thereby revealing the double-standard set by the media. 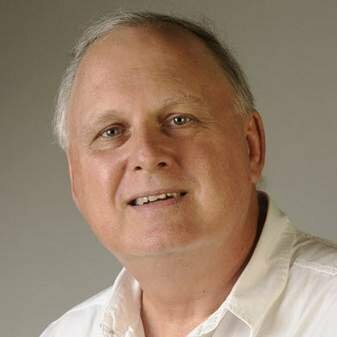 The far-Left has now taken on the tactic of heckling Republicans when out in public, such as Homeland Security Secretary Kirstjen Nielsen in a Mexican restaurant, Press Secretary Sarah Sanders in a Lexington, Virginia restaurant, and Florida Attorney General Pam Bondi at the Tampa Theatre. Again, if such intimidation was aimed at Democrats, the news media would claim foul play, but if it is applied to Republicans, it is evidently an acceptable form of behavior. Now, prominent Democrats, such as Rep. Maxine Waters of California has called on her supporters to harass Trump administration officials in public. This has raised eyebrows in Washington, as it is an obvious attempt to confront party opponents. Anyone who openly opposes the dogma of the Left is now fair game, and it appears Progressive zealots take it as a green light by the party to leverage mayhem on Republicans. At this time, Rep. Walters is unapologetic for her rhetoric which could very well lead to violence. What this implies is that battle lines are being drawn and opens the door to a potential fatal incident, whether accidental or premeditated. So much for civility in politics. We used to be a country who tolerated opposing viewpoints. Evidently this is not what the Left will accept anymore. There is only one problem with all this, it is backfiring on the Democrats. First, such behavior fires up the Republican base which will inevitably result in a greater turnout at the precincts. Second, such theatrics are a turnoff to independent voters who are desperately needed if the Democrats hope to retake Congress. According to a recent Rasmussen Poll, 51% now see Democrats as the party of “Identity Politics and Victimology.” In other words, they are now perceived as the party of hate. To make matters worse, in a recent Gallup Poll, Americans who are satisfied with the direction of the country has reached a twelve year high, going back to September 2005. In the survey, all age groups and genders showed a marked improvement, but in particular, independents showed an eleven point bump, making it bad news for the Democrats. Since the Democrats have virtually no programs to offer the American voter, nor are they willing to sit down and legislate, as they fear it will only produce a win for the Republicans, they now suffer from the stigma of being obstructionists. Their strategy going into the mid-terms seems rather obvious, tie up the Republicans with perceived problems for them to refute. This is a “Whack-A-Mole” approach whereby if one problem is solved, another will surface, and another, and another, until November. All of this reveals the desperation of the Democrats. No, they are not in the driver’s seat for this election. If they were, we wouldn’t be seeing any of this. Regardless of what the polls tell us, the Democrats have fallen behind and the Republicans can now see them in their rear-view mirrors. Also let us not forget, the polls they are quoting from are the same ones which got the 2016 presidential election horribly wrong. – The basics for anyone starting out in management. I have written and taught management and systems related topics for many years, always trying to offer pragmatic approaches. Recently though, I ran into a young man who was about to become a project manager for the first time and wanted some advice on tackling the assignment. He was being put in charge of a small team of workers, consisting of seven people, and wanted to know how to best manage the project. As this was his first management assignment, I told him the three keys to success were organization, communications, and interpersonal relations. I cautioned him against trying to over-supervise his team, in other words, not to micromanage them. First define the methodology for the project to follow, including the work breakdown structure, benchmarks and deliverables, and review points. Be sure to include an initial phase for planning, and an ending phase for review. Although some projects are executed serially, others may split into parallel paths. Second, understand the skills and knowledge required to implement the project, then examine those of your workers, including their proficiencies. Provide training where required. Third, articulate the project assignment to the team. Define the allocation of human resources within the methodology, thereby defining Who, is to perform What, When, Where, Why, and How (the 5-W’s and H). When this is done, empower the team and let them get on with their business. * Plan the project carefully. * Train the workers appropriately. * Communicate the project assignments effectively. * Look for trouble spots, and take corrective action. In other words, run interference for the team. * Regularly communicate progress to your superiors. The real key here is to treat the workers like professionals, thereby empowering them with a sense of responsibility and ownership. To do so, avoid the temptation to micromanage everything which will only cause problems with morale and slow the projects. Employees are much more inclined to attack projects zealously if they believe management trusts their judgement and is not breathing down their throat. Finally, be sure to review the project at its conclusion, which many people tend to overlook as they do not see the wisdom for doing so. The review should include an analysis of estimate versus actual time and money spent, what went right during the project, what went wrong, and recommendations for future projects. Sometimes this is written by the Project Manager, but it is preferable to have a third person write it who is more objective. The final report should be reviewed by all members of the project team. If you have performed your job properly as manager, your people will become more disciplined, more enthused about their work, and will develop a professional attitude, all of which benefits the company. Thus ended my five minute lesson. For some of my other tutorials on management, click HERE. – The wit and wisdom of our seniors. I have a problem with this as I still have a few dances left on my card. Young people do not believe you can keep up with the pace of today, that you possess knowledge from a by-gone era that is no longer applicable. It disturbs them greatly when you demonstrate you know how to use their technology, not just as well but better than they do. The young people also think you dress funny, especially when you wear a suit and tie, and that you cannot comprehend the jargon, entertainment, or customs of today. They are particularly mystified when you say or do something politically incorrect and it doesn’t seem to bother you. What oldsters lack in the customs, vernacular and technology of the day, they make up for in hutzpah, guile, and bravado. Their values may be different than the youngsters, but their experiences make them resourceful and a fountain of information. Even better, they have developed a sense of humor laced with wisdom. To illustrate, I have assembled a Youtube! playlist featuring the wit and wisdom of oldsters, which you can access HERE. Some of these stories are funny, some poignant, and others simply entertaining. The intent of is to give young people a glimpse into the mind of the oldsters, how they think, what they have learned, and their perspective on life. From it, you should be able to glean the mindset of oldsters, that they are not obsolete and want to prove their worth. As for you oldsters out there, you’ll love this immensely. 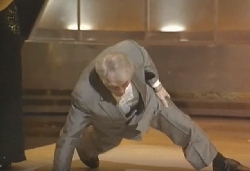 The message from these video clips is simple: Giving up is the ultimate tragedy. As long as we have a breath to breath, we need to demonstrate our worth, otherwise it is time to pack it in. Then again, Mark Twain was an oldster when he made this observation. P.S. – Congratulations to 65 year old trainer Bob Baffer and 52 year old jockey Mike Smith on winning the Triple Crown aboard Justify. 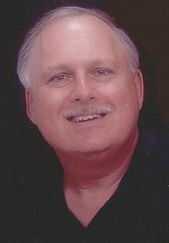 P.S., Be sure to see my video, “The PRIDE Renewal Tour,” on YouTube. – And why it upsets Democrats. From June 8th-14th, we witnessed something special, something that doesn’t occur too often, an American president traveling the globe to bring about peace and prosperity for not only our country but the world as well. This was unlike other presidential trips in that a new type of president was making the rounds, Donald “The Energizer Bunny” Trump, representing a clever negotiator with boundless energy. Not only was he willing to go to bat for the American people, but he also represented the interests of many others around the globe including Europe, Japan, China, even Russia. As if his negotiations didn’t keep him busy enough, he kept us informed by frequently Tweeting his thoughts. The first stop for Mr. Trump was the G-7 meeting in Canada where the trade imbalance between the United States and other countries took center stage. Here, the president suggested dropping all tariffs completely, something that was spurned by the other G-7 members. In particular, Canadian PM Trudeau showed his true colors by claiming foul by the president after his departure. This proved he is not a legitimate FRIEND of the United States. Prior American administrations spoiled other countries by allowing tariffs to exist uncontested, thereby causing our massive TRADE DEFICIT. The president made it clear: the party is over. As Mr. Trump said in his closing remarks, “We’re The Piggy Bank That Everybody’s Robbing.” Unless the tariffs disappear altogether, thereby enabling true free trade, the United States will likely invoke their own. In turn, the Democrats and Main Stream Media (MSM) warned of the dangers of a trade war, giving the impression they are more concerned with the financial well-being of foreign workers as opposed to American. 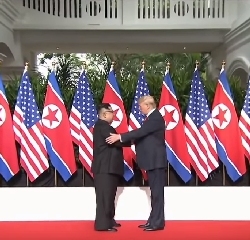 The next stop was Singapore where the president met with North Korean leader Kim Jong Un to remove nuclear weapons from the Korean peninsula. Their meeting was brief but resulted in a four-part statement agreeing to establish new relations between the two countries, work towards a lasting peace between north and south, work toward denuclearization of the north, and recover the remains of POW/MIA from the Korean War. Ever the consummate builder/developer, Mr. Trump produced a special VIDEO showing the benefits of peace to the Korean leader. This video demonstrated the president’s in-depth knowledge of North Korea, as well as his salesmanship. The President said Kim Jong Un was eager to move forward on this agreement and was already starting the process of destroying his rockets and nuclear build-up. In return, the United States temporarily suspended further military exercises with South Korea. In addition, no new sanctions would be added, but existing sanctions would remain in place until progress is made towards the agreement. They also discussed human rights violations but didn’t commit to a policy at this time. Instead, they saw this brief meeting as an important first step and further talks would address such concerns. However, the biggest problem, denuclearization, which is of major concern to American safety and security, was addressed. A lot was accomplished in a brief four hour summit. Yet again, the Democrats and Main Stream Media refused to give their stamp of approval and labeled it a “bust” instead, claiming Kim Jong Un was somehow the real winner at the summit. They conveniently overlooked President Trump’s “Big Stick” approach which brought the Korean Chairman to the table. Teddy Roosevelt, who was the originator of the “Big Stick” approach, would have likely used the same tactic for both Korea and the G-7. The report obviously vindicates President Trump firing Mr. Comey on May 9, 2017, as well as confirming suspicions of improper behavior by FBI investigators. J. Edgar Hoover should be spinning in his grave. Interestingly, on the day the report was released, the Democrats had a full court press trying to refute it. I personally received press releases from the Left before the report was even publicly released. The television news media poo-poohed the report in an attempt to minimize damage. As if this week wasn’t difficult enough, Mr. Trump had to bear the weight of Democrats and the Main Stream Media taunting and berating his every move like sore losers. The criticism was so loud, he should receive the Noble Peace Prize simply for fighting them. The Left has become unglued over the president’s success, causing such people as actor Robert DeNiro to frequently drop the F-bomb on the president at the recent Tony Awards. In reality, celebrities like DeNiro are doing the GOP a favor as their crass language and rude behavior only strengthens the resolve of the Republicans to turn out the vote. It is also a turnoff to independent voters which Democrats desperately need in November. Remarkably, the Left openly yearns for the economy to crumble and the country to slip into a recession so the President cannot be re-elected in 2020. Whereas the President offers an approach based on capitalism with fewer taxes and smaller government, which has led to our current era of prosperity, the Left offers a socialist agenda with higher taxes and bloated government, an approach which failed under President Obama. Democrats possess a “glass half empty” mentality as opposed to “half full.” They are genuinely hoping for the economy to fail, for Korean peace talks to fall apart, and the trade talks to crumble. Translation: they want a failed economy, high unemployment, war in Korea, and foreign governments to gouge American taxpayers, for if the president succeeds, they know they will fail in November. They simply have no alternative proposals to offer American voters other than to “Stop Trump.” Instead, they besmirch the president’s character hoping voters will follow suit. The only problem is the voters are not buying into their argument and see the president’s efforts in a positive light. The desperation by the Left as expressed herein means one thing; this is the beginning of the end of the Progressive grip on the Democrats (which I now like to refer to as “The Regressives”). Yes, June 8th-14th will likely go down in the history books as a turning point in America; where we moved away from a reactive management style to a proactive one. As for the president, not bad for a man who just celebrated his 72nd birthday on Thursday. One nice present was given to him by Norway’s governing Progress Party, a nomination for the NOBEL PEACE PRIZE, making him eligible for next year’s award, something the press didn’t want you to know. – Or is it the Republicans they truly hate? This is part of an on-going series I have been writing regarding how Democrats think and the tactics they are using going into the 2018 midterm elections. True, the November elections primarily address Congressional races, but the Democrats have put President Trump in their cross-hairs as the focal point for the election. Basically, they want to use election day as a referendum of his policies and decisions. If the Democrats regain control of either chamber of Congress, they believe they will have a chance in the 2020 presidential election. Their approach is simple but inflammatory, linking all GOP congressmen to the president thereby implying the candidate is evil simply because he/she happens to be in the president’s party. This tactic has caused some Republicans to campaign in fear, believing their association with the president is a liability. Instead, they should portray it as an asset and stand behind the president, particularly in terms of the country’s expanding economy. Not surprising, the Democrats portray the president as an evil, insensitive ogre, which explains why they claim he is a racist, even though there is no evidence to show he is. It is simply politics at its most distasteful. For example, just a few years ago, Rev. Jesse Jackson applauded Trump’s business programs for making life better for the black community. He also thanked Mr. Trump for meeting with him when Jackson ran for president years ago. Today, Rev. Jackson regularly blasts the president accusing him of being a racist. Today, the Democrats malign the president every chance they get, even going so far as to suggest his impeachment. This adversarial relationship began from the outset of his presidency. It wasn’t so much about Mr. Trump winning the election as it was to their shock and disbelief their candidate lost. By doing so, the “resistance” movement was born to try and thwart every action by the president, be it in Congress or on the streets. Do the Democrat elders truly hate President Trump, the person? Aside from losing to him in 2016, the answer is No. To prove it, let’s suppose for a moment the president changed his persona to satisfy the Left; that he stopped Tweeting, acted more “presidential,” befriended the press, and began to adopt some of the positions of the Democrats. Even if he did all this, thereby blending into the Washington establishment, the Democrats would still be calling for his head. The point is, they hate the president, not because of who he is, but the party he belongs to. If any of the other 16 Republicans had won the nomination and election, his or her head would be on the chopping block. 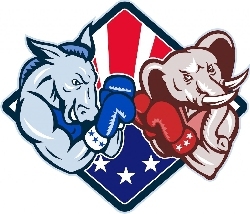 The biggest difference between President Trump and the other Republican candidates though is the president is willing to fight back, which irks the Democrats and media. I find it rather amusing when the Democrats lament, “Why can’t he be more like Bush?” (meaning more presidential). This is laughable as the Left maligned President Bush as an idiot, and too incompetent to perform his job. So much so, you may recall Mr. Bush went into seclusion throughout the years of the Obama Administration. Also consider how much Vice President Mike Pence is portrayed as evil and incompetent by the Democrats and the media, just because he was the running mate of the president. It is simple “guilt by association.” He has been ridiculed for his faith and the fact he has been loyal to President Trump. Members of the Trump family are also portrayed as ogres by the Left. No, the Democrats do not truly hate President Trump. They may be green with envy for the successes he has had, but deep down they do not hate him personally; it’s all an act. The reality is they hate all Republicans and consider them a threat to their socialist agenda. As I’ve maintained all along, the Democrats are desperate and will go to any length to win in November, regardless if it is legal or not. As long as the Republicans keep improving the economy and security, they will likely win in the Fall. My only concern for the hatred spawned by party elders is that their followers take it seriously and pose a dangerous threat to all Republicans, not just the president. Just remember, using hate as a political weapon is what carried Adolph Hitler and the Nazis to power, as well as Benito Mussolini and the Italian Fascists, and hopefully we will all remember what happened after that. – We should relish those who make life more bearable for all of us. I guess I am now of the age where one starts to see their friends slip away, be it old school chums or others. For example, I recently experienced the passing of a good friend, Ro Ambrose, who lost a valiant fight to breast cancer, a disease she had been fighting for approximately fifteen years. This one hurt, not just because she was a dear friend, but for other reasons. I have known Ro and her family for about twenty years, starting with the softball fields of Palm Harbor where I used to coach in Little League. Ro had never played the game in her youth but fell in love with the sport through her daughters. So much so, when I suggested starting an adult co-ed team she was the first to sign-on. We called ourselves “Chico’s Bail Bonds,” named after the original “Bad News Bears.” Our team gelled from the time we first took the field. We were competitive, but were mostly looking for an outlet to let off some steam after work and get some exercise. We also enjoyed libations and a little Karaoke afterwards. During the game we would distract the opposing team by cooking brats with peppers and onions in our dugout, which turned out to be a rather shrewd maneuver. Although Ro never played softball before, we watched her improve her batting average, going from .364 to an impressive .462. 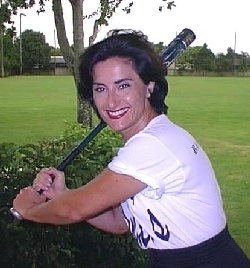 She took batting practice every chance she could, was always early to the field on game day, but her trademark was to run out every hit and base on balls, much like Pete Rose. She just loved the game. Ro possessed a great sense of humor and her laugh was infectious. So much so, everyone wanted to make her laugh. She was also an excellent cook, but more importantly she cared deeply about people and was always willing to help anyone in their hour of need. She was gracious, classy, hardworking, thoughtful and very kind. As we both worked in the Information Technology field, we would bounce technical issues against each other from time to time. She was proud of and hopelessly devoted to her husband, daughters, and grandchildren. When she first contracted her disease she was determined not to let it stop her. Ro possessed an indomitable spirit. 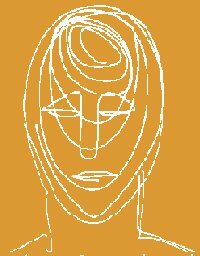 When asked, she would candidly tell you what her condition was and where she stood in her treatment, but she was more interested in the welfare of others. It was like, “Okay I’ve got this, I’m dealing with it, now let’s move along.” I never heard her complain about anything or anyone, least of all her condition. Over the years we drifted apart, but now and then one of us would pick up the phone and call the other, and it seemed like it was just yesterday. If you were ever having a down day, you gave Ro a call and she would pick your spirits up. She was very inspirational in this regard. I guess the reason Ro’s passing really hurts is that she was one of those rare pearls you seldom find in life. We now live in an age of immoral behavior, cutthroat business tactics, and a general disrespect for the human spirit. What we read in the news can turn the best of us into a pessimist. So, when we meet someone like Ro, who was the personification of goodness, we realize how lucky we were to have known such a person. So when that person is gone, it hurts, a lot. I am certain there are other Ro Ambroses out there, so maybe it’s time to rekindle our relationship and let them know how much we appreciate them. As for me, I’ll miss her laugh, her thoughtfulness, and her heart of gold. Alas. – There are two faces in the party, with one side in control (and desperate). Contrary to popular opinion, No, I do not believe all Democrats are evil. I have known a lot of them over the years, engaged in meaningful arguments with them, and have enjoyed their company. Over the years I have discovered the party has a Jekyll and Hyde personality with moderates representing Dr. Jekyll and Progressives representing Mr. Hyde. It is this latter group I have a problem with and consider a genuine threat to our nation. As to the others, I see them as honest, hard-working citizens interested in fairness, equality and the American way of life. Progressives want to change it all. Just as the Republicans have moderates and conservatives, the Democrats are not of one mind either. Control of the party though has slipped away from the moderates and given to the Progressives starting with the election of President Barack Obama in 2008. Some would say, it started years ago with FDR and perpetuated by JFK, LBJ, Jimmy Carter and Bill Clinton, but the truth is, liberalism has changed over the years to become much more aggressive. So much so, today’s Progressive Democrats make people like JFK and LBJ seem like conservatives. * Whereas Progressives abhor capitalism, believing it is designed to only benefit the rich, moderates understand the need to make an honest buck and earn your way through life. * Progressives believe socialism is the path for the future, that the wealth should be redistributed; moderates understand not everybody wins and simply wants a fair wage. * Progressives will go to any length to gain votes, regardless if it is legal or not; moderates believe in the rule of law and believes the current electoral system is fine. * Progressives believe the Constitution is antiquated and needs to be completely rewritten; moderates believe it is basically fine, but some portions should be re-examined. * Progressives want to abolish all guns; moderates, especially those in rural areas, understand the need to protect one’s property and lives. * Progressives believe everyone else is a racist; moderates know better. * Progressives believe in open borders; moderates see it as a threat to their livelihood and safety. * Progressives believe America should “lead from behind”; moderates know America must maintain its role as leader of the free world. * Progressives believe in changing school curriculum to minimize history and government; moderates want to understand how the government works. * Progressives reject anyone of the Christian faith; moderates tolerate them because they also believe in Deity. * Progressives offer token respect to patriotic symbols; moderates are proud to have served their country. With the Progressives controlling the party, moderates know they must play ball or else, which explains why many severed their connection to the party in 2016 feeling it had abandoned them. 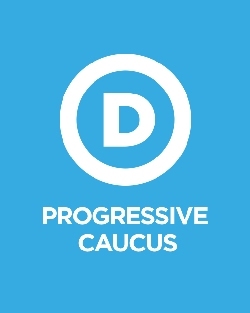 In Congress, the Democrats are tightly controlled by Progressives like New York Senator Chuck Schumer, Vermont Sen. Bernie Sanders, Massachusetts Senator Elizabeth Warren, and Rep. Nancy Pelosi (CA). Other Congressmen, such as Rep. Tim Ryan (OH), tend to be more moderate, yet are tightly controlled by party elders, thereby rendering them impotent. It was in 2004 when Progressives seized control of their party and rule it to this very day. However, with the defeat of the Democrats in 2010, 2014, and the presidential election of 2016, the Progressives are now in a panic mode as they approach the 2018 midterms. This election is less about which party will control the Congress, and more about who will control their own party. Should the Democrats lose in November, control of the party will likely be wrestled away from the Progressives and returned to moderate rule. In other words, the Progressive agenda now borders on fanaticism which may be appealing to the left wing of the Democrats, but is a turnoff to middle America and explains why the party has been losing seats. Historically, the political pendulum has swung back and forth between Republicans and Democrats, but now the Progressives want to put America on a new ideological course. No, this is most definitely not the party of Franklin Roosevelt, Harry Truman, Jack Kennedy or even Bill Clinton. The Progressives want to institute a major overhaul of the underpinnings of America as we know it today. Their rhetoric is visceral and their determination is great. Frankly, middle America is scared of their radical policies and see it as destabilizing the country. Americans still remember how Communism failed in Russia, as it is in Cuba, and are currently watching Socialism destroy Venezuela, all of which scares them about the Democrats. Without a legitimate plan that is palatable to the whole country, not just the party, the Democrats will likely lose in November. Only then will the influence of the Progressives begin to wane and the party will have to chart a new course.